Liczba stron: 130 Jest to ujednolicona liczba stron, która ułatwi Ci porównanie długości książek. Każda strona Legimi to 200 słów. The Web was meant to be Everything. As the Internet as a whole assumes an increasingly commanding role as the technology of global commerce and communication, the World Wide Web from its very inception was designed to be a free and open medium through which human knowledge is created, accessed and exchanged. But, that Web is in danger of coming to a close. The Web was meant to be Everything. As the Internet as a whole assumes an increasingly commanding role as the technology of global commerce and communication, the World Wide Web from its very inception was designed to be a free and open medium through which human knowledge is created, accessed and exchanged.1 But, that Web is in danger of coming to a close. The Web was meant to be Free. It laid out a language of HyperText, which anyone could use to author electronic documents and connect them together with links. The documents in totum were meant to form a global web of information with no center and no single point of control.2 The first Web browser was also a Web editor, and this principle that any node in the network can both consume and create content has more or less been defended to this day. The Web was meant to be Open. It detailed a common interface that could be implemented on any computer. This innovation overcame the obstacles of incompatible platforms and tools for the sharing of knowledge on the Net,3 by defining a Hypertext Transfer Protocol (HTTP) and other standards for the discovery and communication of online data. The technical specification of the World Wide Web was offered for free as a non-proprietary, open standard that could be used by anyone for commerce and culture and everything in between. Within a decade of its birth the World Wide Web had blossomed, and by a simple measure of bandwidth usage it had become a dominant protocol for data exchange on the Internet. It was the openness of the Web that allowed for this revolution, and in the years to come countless new technologies and innovations would be built on top of the open Web. By the turn of the millennium, however, the share of Web usage as a percentage of total Internet traffic had begun to decline, displaced by more bandwidth-intensive activities like video streaming, peer-to-peer file sharing, voice-over-IP and online gaming. In point of fact, World Wide Web traffic has continued to grow as more and more users come online. Yet more insidious changes have come about. The ever-shrinking proportion of the Web’s share of total Internet traffic has been eaten away from within by new data transactions that flow over HTTP but hardly involve a Web browser or Hypertext, or even a human being.4 More and more of these transactions, rather than relying on free and open standards, involve commercial applications connecting to proprietary online services using custom machine-to-machine protocols or application programming interfaces (APIs). They transpire between network services inter-communicating without human intervention, while others take place on mobile devices running apps tailor-made to limited hardware specifications and screen-size, rather than a general-purpose web browser. In truth the Web is thriving. But as a distinct species of human knowledge, technology and innovation, it cannot escape the threat of insidious mutation or outright extinction. The prospects of the World Wide Web as a free and open platform are hardly guaranteed. The only way to ensure its survival is to engage directly with the tools and techniques of the Open Web. If you use the Web at all, you cannot leave this fight unscathed. What threatens the Web’s freedom, likewise impinges on your own. 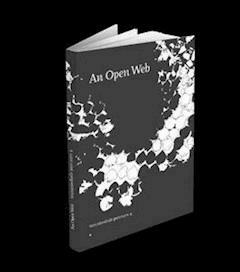 This book will take the view that the Open Web is an essential technology and cultural practice for the future of the Internet and human society. The Web as we know it has had a positive and even revolutionary impact on key areas of science, technology, politics and culture. It has opened up new fields of individual rights and responsibilities, in terms of legal structures, community standards, privacy and the control of data. The rapid pace of technological change is bringing ever more powerful threats (and opportunities) to the Open Web. The fight for the Open Web is taking place at a global level of interconnected technologies, communities and networks. The fight for the Open Web is your own. The World Wide Web was invented in 1990 by English engineer and computer scientist Sir Tim Berners-Lee, when he worked at CERN in Geneva, Switzerland. For his achievement he was named by Time Magazine as among the most important people of the 20th century: “The World Wide Web is Berners-Lee’s alone. He designed it. He loosed it on the world. And he more than anyone else has fought to keep it open, nonproprietary and free.” Tim Berners Lee-Time 100 People of the Century. “HyperText is a way to link and access information of various kinds as a web of nodes in which the user can browse at will…. This forming of a web of information nodes rather than a hierarchical tree or an ordered list is the basic concept behind HyperText.” Tim Berners-Lee and Robert Cailliau. WorldWideWeb: Proposal for a hypertexts Project. “One of the most important shifts in the digital world has been the move from the wide-open Web to semiclosed platforms that use the Internet for transport but not the browser for display.” Chris Anderson and Michael Wolff. The Web Is Dead. Long Live the Internet. The Web sits atop a thick stack of technical standards that predate, support and supplement it. A system of networking protocols that make up the Internet had to reach a state of of stability, maturity and commonality so that the Web of Hypertext and linked documents could thrive upon it. A very basic, open yet powerful structure provided the lattice for the growing Web. Nearly 100% of this underlying Internet infrastructure is open and standardized. It is this very openness that has allowed for an unprecedented level of innovation, knowledge generation and creative expression on the Web and off. Those who advocate keeping the Web open do so because they want to continue to see these advancements. Experience shows that standardizing the network backbone explodes innovation, leading to more progress and improvements we can’t anticipate in advance. Nowadays, for most of the time we spend online, we don’t even think about the strings of code and standards that bolster our daily activities. But without solid and interoperable layers underneath, the Web as we know it would not exist. Imagine, for a moment, if you had to ask permission every time you search for a restaurant in your city. What if all those pieces of information came with a set of locks, and you had to fumble for the keys or ring your neighbor to let you in every time you wanted to find the program of your local theater? What if you had to pay a licensing fee for checking the online bus schedule? Fortunately, most of these interactions don’t require such transaction costs. That is because the supporting technical stack, the Open Web stack, already cleared hurdles and standardized these data exchanges. In this book, we’ll dive into the technical backbone that makes these Web-based activities possible and argue why they’re important to foster and protect. But why should we care about the Web in the first place? What has it enabled, and what could it achieve if it is more open? The following section provides examples from key disciplines and projects. Moreover, it offers a glimpse into a bright future of innovation and collaboration—if we get the technical and normative practices right. Wikipedia, the darling of massively collaborative projects, turned 10 years old in 2011. Hosting over 10,000,000 articles spanning 270 different language versions,1 Wikipedia is the canonical demonstration of openness. Its combined cognitive output, technically and normatively interoperable and infinitely modifiable, propelled it into one of the most well-known bodies of knowledge in human history. Much ink has been spilled about the merits of the project, its evolution, and critiques, but for the purposes of this book, we wanted to underscore the value of the Web in realizing the potential of Wikipedia and other online collaborative projects. Wikipedia, and many other knowledge-building portals, rely on the Web to keep people participating and accessing invaluable content. If you see a pothole on your street, you can quickly report it to the city and queue it for repair. The project Fix My Street2 by UK charity MySociety produced a web interface to improve your neighborhood through simple actions, such as reporting potholes. The software is released under a license that allows others to modify it, so other cities can adapt the technology to their needs. These low-barrier tools help citizens take action, flexibly and free of charge. A Korean citizen journalism platform, OhmyNews, was one of the first online reporting organizations in the world to harness the Web to foster political debate and influence national politics. With over 63,000 citizen reporters, 2 million unique users a day, and the highest rank of independent news sites in Korea,3 OhmyNews is an impressive example of how the Web can scale community-driven journalism and inform the polity. Interestingly, tip jars and micropayments fuel the system, bypassing the traditional ad-revenue for online content. Community organizers, demonstrators, campaigners, and all stripes of civic lives can use the Web to further democracy and their causes. If the Web is open, more platforms like these will flourish. And ad-free content, especially in the civic sphere, will continue to be possible. The battle for the Web is deeply about democracy, transparency, and voice. The Web provides a necessary channel for whistle blowers, citizen and professional journalists, dissidents or anyone really to report or criticize their government, employer, or other powers. If Little Brother is to keep an eye on Big Brother, we need secure and reliable technologies that protect the user and allow anonymity. The Web supports these tools, but there are dire challenges ahead. The network Technology for Transparency documents case studies for tactics to promote transparency and accountability around the world.4 At the time of writing, 60 cases were available from Argentina to Zimbabwe, outlining the role of the Web and technologies building upon the Web, to monitor elections, educate citizens on consumer rights, monitor legislative processes, expose budget expenditures, and more. Many of these cases and innumerable others are made possible because of access to the Web and other key pieces of Free and Open technologies. No contemporary discussion of Web-driven transparency would be complete without mention of the polarizing initiative Wikileaks. While the majority of the organization’s practices are in fact closed, Wikileaks depends on the Web to distribute information and communicate with its collaborators and the public. The debates surrounding Wikileaks expose the deep challenges to closing the Web. Reactions to the release of sensitive documents, especially the far-reaching governmental intervention to pressure private companies to deny Wikileaks service, reveal numerous weaknesses to commercially hosted services and the centralization of key Web platforms. It also underscores the importance of law and political influence, coupled with technical capabilities, to access and control information. The Web also fuels creativity. When the underlying technical infrastructure is interoperable and functioning, so much is possible on top of it. Pulling content from across sources, each layer compatible with open standards and open licenses, generates an opportunity like never before to remix and recontextualize art and other creative outputs. The musicians Arcade Fire blasted the concept of online cinema with their release of The Wilderness Downtown,6 an interactive film using HTML5, a key language of the Open Web. Using live data streams and multiple browser frames, The Wilderness Downtown adds a dimension to the moving image impossible with broadcast-only technologies. With interoperable layers of data, further experiments like popcorn.js are possible.7 A demo of semantic video, popcorn.js extracts feeds from a variety of sources, effectively allowing realtime video augmentation with data such as location, Wikipedia articles, social network updates, and subtitles. These technologies show the power of HTML5 and its potential. An Open Web would further these modes of expression and keep the future bright. In academia,8 the Open Access (OA) publishing movement is the vanguard towards removing a major barrier to distributed collaboration in science. The high price of journal articles effectively limits access to researchers affiliated with wealthy institutions. Access to Knowledge (A2K) emphasizes the equality and social justice aspects of opening online access to the scientific literature. The OA movement has met with substantial and increasing success recently. The Directory of Open Access Journals lists over 6000 journals at the time of writing.9 The Public Library of Science’s top journals are in the first tier of publications in their fields. Traditional publishers are investing in OA, such as Springer’s acquisition of large OA publisher BioMed Central, or Nature’s creation of Scientific Reports. In the longer term, OA may lead to improved the methods of scientific collaboration, e.g. peer review, and allow new forms of meta-collaboration. An early example of the former is PLoS ONE, a rethinking of the journal as an electronic publication without a limitation on the number of articles published and with the addition of user rating and commenting. An example of the latter would be machine analysis and indexing of journal articles, potentially allowing all scientific literature to be treated as a database, and therefore able to be queried, at least all OA literature. These more sophisticated applications of OA often require not just access, but permission to redistribute and manipulate, thus a rapid movement to publication under a Creative Commons license that permits any use with attribution—a practice followed by both PLoS and BioMed Central. The Web has also become the ideal platform for the distribution of instructional, classroom and educational resources through various Open Educational Resource (OER) repositories and tools. In two different registers, projects like the Peer-to-Peer University (P2PU) and MIT OpenCourseWare and succeeded in providing access to university-level educational resources to everyone on the web. Imagine having the ability to adapt educational materials, reference works, medical publications, and more into all the world’s languages. Imagine thousands of active communities ready to localize critical tools. Imagine accessing websites from every corner of the world—in your language. These goals, once a pipe dream, are possible with today’s technologies. The power of openness lies in its removal of technical and legal barriers to localizing information and tools. From machine translation that draws upon free corpora like Wikipedia to the development of fonts that display characters in languages deemed “marginal” by major companies, the Open Web stack enables greater opportunities to read information in any language, supported by open standards.